Ours was a quirky do-it-yourself party. My partner Peter and I stayed up the night before our grand opening, fashioning dining tables from solid-core doors and four-by-fours purchased from Home Depot; Peter’s home stereo and speakers were our sound system. Each night, a different local chef ran the kitchen, offering a new multi-course menu of the finest and trendiest food in the city. All the local greats and a few not-so-greats came through. We garnered some attention when we made the local paper, and things picked up. That imprimatur signaled our entree into the cadre of Detroit&apos;s new culinary movement, an important part of the city&apos;s wider resurgence from bona fide, court sanctioned, collapse. By the time the global financial crisis hit in the mid-2000s, Detroit had plenty of practice flirting with disaster. The automobile mono-economy was unsustainable. The regional and state governments were intent on penalizing the thinning majority-black city for infractions real and perceived. There was bureaucratic complacency and corruption at administrative ranks: Former Mayor Kwame Kilpatrick was incarcerated on the heels of multiple scandals, miring municipal leadership in embarrassing infighting. The local real estate market imploded, and General Motors filed for Chapter 11 bankruptcy, causing further havoc in the business sector. Given those circumstances, and the boosterish media&apos;s appetite for positive stories, Detroit&apos;s emerging culinary scene—sprouting tenacious talent and precocious concepts—was a willing avatar of the progress propaganda machine. The Detroit comeback story was a profit-motivated narrative divorced from reality but sold with an emotionally evocative tenor—after all, a good revival story sells newspapers and new construction. The "adapted-for-general-audiences" version of this proposition was a promise perched on a sentimental lie: Stripped of all intimations of viability, Detroit could finally rebuild itself as a more equitable and progressive community, charting the modern way for other cities. 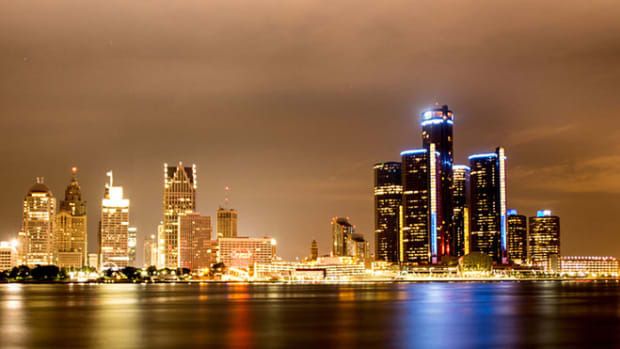 Detroit would live its motto, emblazoned on the city flag: Speramus Meliora; Resurget Cineribus. "We Hope for Better Things; It Will Rise From the Ashes." 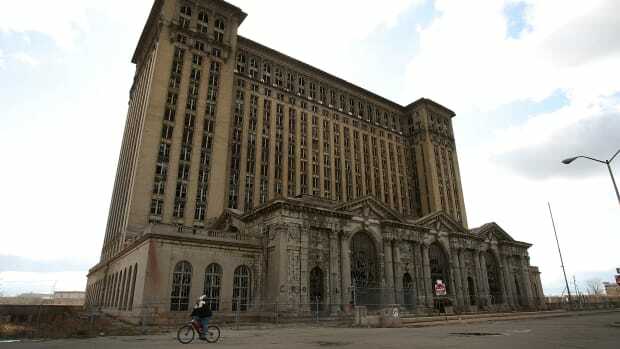 However, in Detroit, there were more than a few competing definitions and visions of progressiveness and equity. Superficially, Detroit had all the tools to re-issue the urban blueprint: urban farms, activist citizenry, repurposed buildings, chastened political leadership, and even culinary entrepreneurs—all potential building blocks for what a re-imagined city could look like. Except the most important element for a truly transformative epoch was missing: a real reckoning regarding race. Vulnerable and infirm, Detroit attracted buzzards and mothers—folks looking for a slice of cheap flesh, or nurturers with healing hands. Then (and now), Detroit was a site of pilgrimage for white folks looking to solve problems, presumably created by other bygone white folks. It was the place you went to cut your teeth if your business was fixing things: A third-world nation in need of aid, and you didn&apos;t need to pay the transatlantic travel expenses. Some white folks likely encouraged a back-to-Detroit movement to undo white flight and expand the tax base. But others furiously set to the task of creating new Detroit—a mythical place produced in service of Richard Florida&apos;s creative class, euphemistically white, young, and affluent. Everything new was the next best thing that would make Detroit&apos;s long-awaited comeback finally arrive; newness was the only qualification that mattered. And that newness hinted at fixing, sometimes through artisanal food and drink, problems that were at least a half-century old. But other voices sounded warnings: The problem wasn&apos;t with the old, now-discarded, Detroit, they said, but the larger oppressive systems of race and class it was suspended in. Most of these dissident voices were long-time community members, mobilized but not mollified by the neoliberal utopia predicted by this notion of urban renewal. However, for reasons as plain as self-interest, these cautionary voices, hoarse from unbridled telling, got less airtime—and when they did, they were derisively labeled "activist." And I was complicit, ignoring the admonishments. Back then, these activists were peripheral to my mission in Detroit. I was brimming with self-centered designs to re-make the past and populate the depleted. I was out to get mine. There&apos;s a cliche that Detroit is really two unequal cities. It&apos;s helpful, if reductive. Detroit is at least two cities: the relatively affluent, 7.2-square-mile downtown area, and the perennially shortchanged neighborhoods that skirt it. 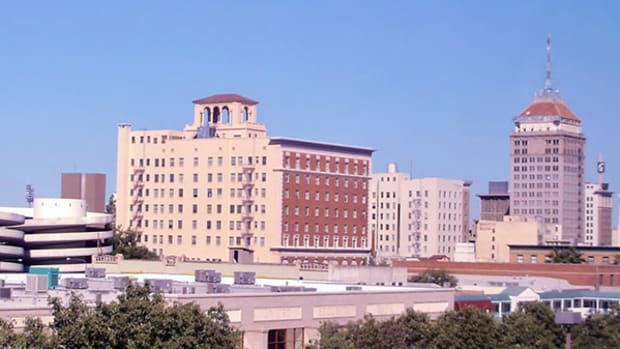 Downtown is the city&apos;s central business district and the consolidated base of political, financial, civic, and media power. Most of the public despair broadcast about Detroit—and the private anguish—are a general reference to Detroit&apos;s neighborhoods, while the overwhelming share of enthusiasm about the city is reserved almost exclusively for the downtown area. In this schema, downtown represented new Detroit and the neighborhoods were old Detroit. Circa 2013, downtown Detroit&apos;s dining scene was burgeoning. Downtown was filling with imports like me. Except, unlike me, they were mostly white, progressive, and declaratively adventurous. This relocated and returning set of visual artists, entrepreneurs, photographers, musicians, bartenders, designers, urban planners, non-profiteers, filmmakers, chefs, writers, urban farmers, inner-city teachers, and coders converted their part of the city into a temporary utopia. At night they threw parties that consumed abandoned properties, and in vacant fields they drank Pabst and liquor, played string instruments or old vinyl records, and commiserated in technical jargon about urban decline and the corresponding opportunity in Detroit. During the day, they soberly built start-ups, non-profits, for-profits, and restaurants. They were young and eager to live life at the limits of regulation and inflated opportunity, and their ranks grew steadily. The city&apos;s health department, like other municipal branches, was stretched, fomenting an inventively lawless and trendy farm-to-pop-up-dinner-table movement in the downtown area. Everybody grew some kind of thing: stretches of remediated soil sprouted tomatoes, kale, spinach. Everybody cooked something: deliciousness was baked and broiled from basements and churches. I remember indulging myself, biking between experimental sushi pop-ups, whole-roast pig cookouts, and scalding sweet ramen slung from pizza shops. Generally, revitalization efforts in many downtown districts are cast as rebellious and different from previous suburbanization and blatantly racist policies that created the current malaise of urban communities of color. These efforts pretend to prioritize community engagement and equitable development over speculation and profiteering by adopting the slang of inclusion and diversity. 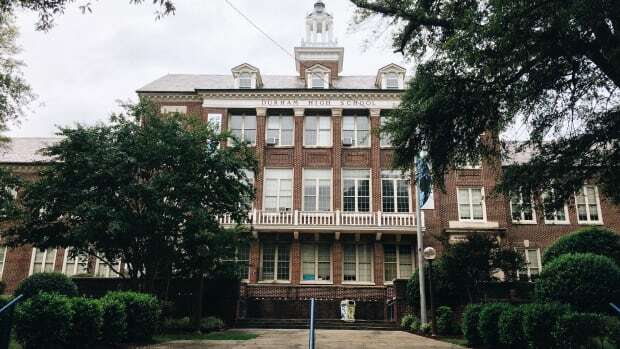 But because they tend to define community in racially and economically exclusionist terms, this version of "revitalization" is in the same tradition of its forbearers: urban renewal and segregation. 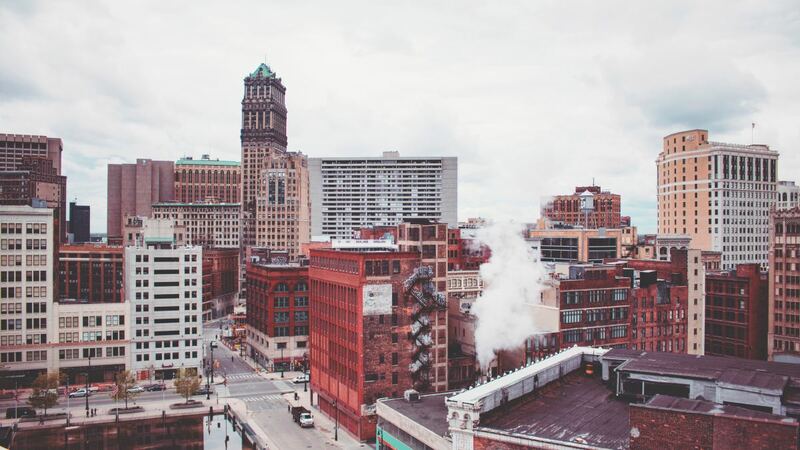 Downtown Detroit&apos;s revival was never reflective of the city. It was designed for a segment of like-minded people indulging self-serving interests, all the while performing a drama of progress that reinforced racial and classist hierarchies. But in 2013, the year we opened our restaurant, idiosyncratic and experimental restaurant destinations restaurants were few. I&apos;m talking about Amero/Nordic restaurants—that ascendant restaurant type built around the cult of the chef, serving locally foraged produce and ingredients, slavishly constructed dishes presented as multi-course tasting menus or à la carte masterpieces. These places—conceived, in part, for filtered Instagram photos—were already overtaking the rest of the country but had yet to dominate and standardize contemporary upscale dining in Detroit. It was no coincidence that downtown Detroit&apos;s restaurant explosion overlaps neatly with the arrival of billionaire Dan Gilbert to the area. In this struggle for profit, power, and the reclamation of urban space, restaurants had to be weaponized and deployed to pave the way for discriminatory development. The new restaurants now pimpling the downtown area—gorgeous, white-marbled, bursting with haute fare—are either operating out of Gilbert&apos;s buildings or have been inspired by the demand Gilbert&apos;s $19 billion in investments have spurred. These restaurants are no doubt enviable products of talent and hard work, but their foremost legacy, along with Gilbert&apos;s, is the concentrated and racialized prosperity they represent. In today&apos;s downtown Detroit, the majority of new restaurant ownership—along with the bulk of prestigious staff positions at these establishments—is overwhelmingly white. So is their patronage. 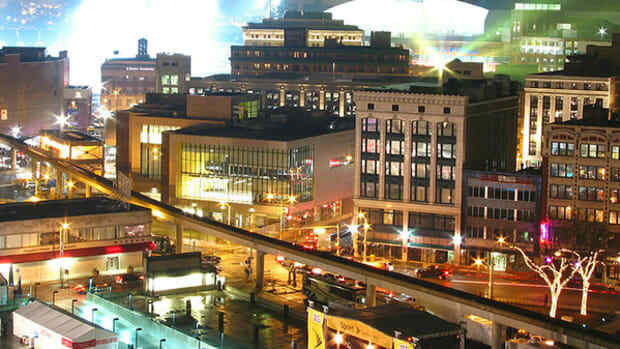 With a few important and notable exceptions, downtown Detroit&apos;s contemporary culinary scene, as celebrated by popular media coverage, investment capital, and growing industry recognition, is almost exclusively white-faced in a breathtakingly black city—and adjacent to other similarly white-faced commercial and residential concerns. This inequality is the final destination for most urban revival schemes, a sad union of capitalism and structural racism that&apos;s hard to untangle. My partner and I took a meeting with Dan Gilbert&apos;s team in early 2014. Peter was skeptical, but I was seduced by the downtown promise. From my myopic vantage point, the future of Detroit looked bright—especially from a conference room in one of Gilbert&apos;s buildings. In the middle of the room was a sprawling miniature model of downtown. It was detailed, with downtown&apos;s spoked street layout carving up impressive quadrants of skyscrapers and highrises. A lease executive began pointing at different buildings to indicate which ones Gilbert either owned outright or held the master lease for. Most of his commercial and mixed-use properties had a proposed restaurant component. (By the following summer, Gilbert&apos;s downtown properties would welcome Wright and Company, serving duck-and-chicken-liver parfait; Sommerset Collection&apos;s CityLoft, a pop-up of an upscale suburban mall; and John Varvatos, a clothing store hawking $3,000 jackets.) In that room, the lease executive&apos;s gestures made Gilbert&apos;s downtown vision omnipresent and almighty. In that moment, the facade of downtown&apos;s revival and prosperity dissolved into a new awareness for me: a change was never coming. This new wave of maverick capital was focused more on profit, and less on community—the accepted standard of racial justice. 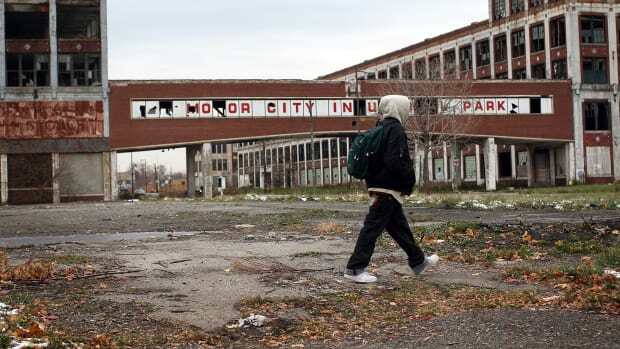 The folks who would, by default, thrive in this new Detroit were the ones most fluent in the language of privilege. This city was bound to do black folks in. I left Detroit later that year, in the fall of 2014. I&apos;ve spent the better part of the last three years traveling across the country, hosting dinners themed around race and power. I&apos;ve observed similar realities in different cities, reconciling my Detroit experience, in a way. My most recent dinner in Detroit, in July, was called, "Detroit is Black: The Casual Racism of Gentrification and the Politics of Black Spectacle, Displacement and Consumption." At the event, I put a question to the diners: "Is Detroit a black city? And what does this mean?" A middle-aged woman, without rising from her table, still picking at the food in front of her answered "No." Without waiting for my quizzical follow up, she continued: "Because black folks don&apos;t hold any power. We have the numbers, but we don&apos;t hold the power."